I have been home for two weeks and have had time to look through my notes, pictures and messages. I am still recuperating from the strain from the adventure so I take it easy when I exercise. However, I am in a generally good condition and have no pains or problems. Just need to pay attention to the recuperation phase and rest up. When I think of what I experienced, I start smiling and I want to go back again. So many great experiences as well as hard and challenging moments too.This warm feeling I feel is a good sign! 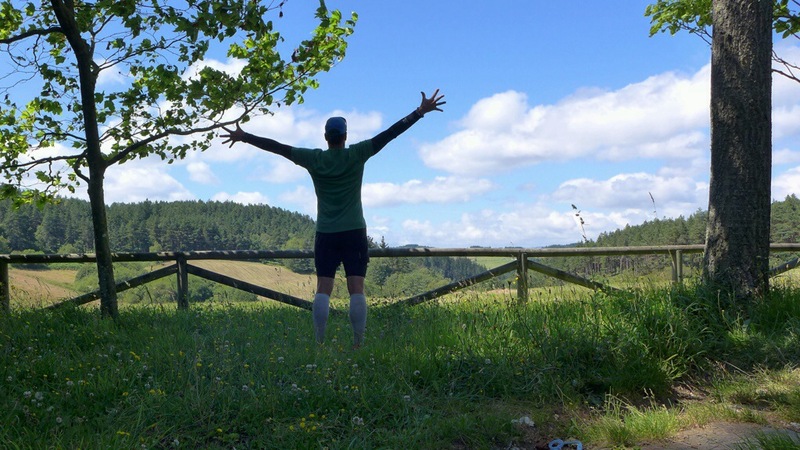 I trail ran from Oviedo in Asturias to Santiago de Compostela in Galicia, 330km with 8 300 height meters in 8 days. That is an average of about 41 km a day. 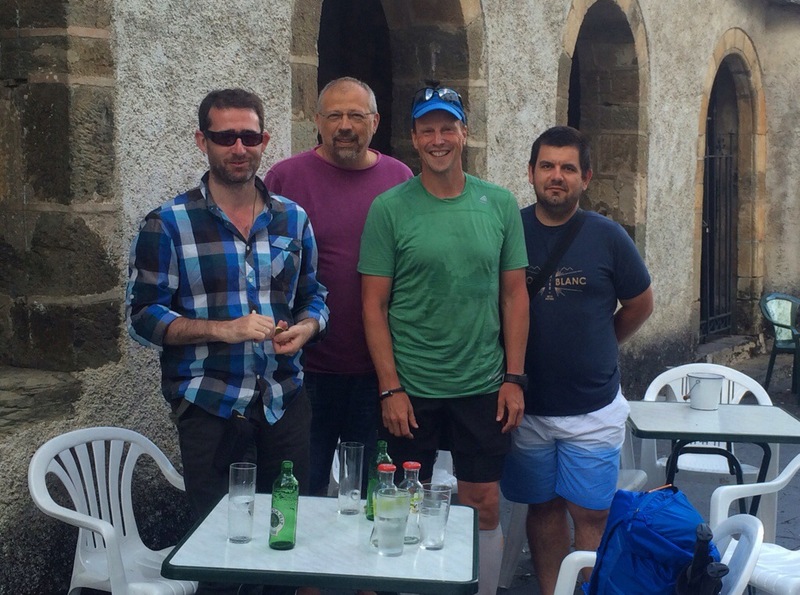 All in all about 7,8 marathons. I am grateful to my body for allowing me to have completed this expedition successfully. And to all of you cheering me on along the way. Thank you!! I set out to experience the the very first route that king Alphonso II walked in the 9th century when the news of the discovery of St Jacobs grave reached him. 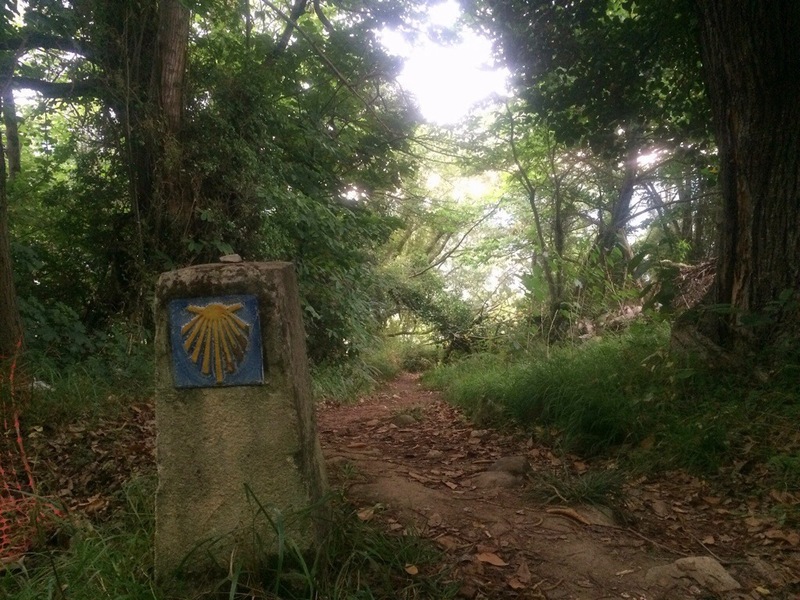 Little did he know that 1 200 years later, today, 220 000 people each year would follow his example and set out to Santiago de Compostela from different starting points across Europe. Everyone with an individual motive and reason. This year I was one of them. I think we can all make a difference. Therefore I dedicated my adventure, to Doctors Without Borders as a way to raise awareness and funds for their great work in some of the worst disaster ridden areas of our world. So far we have managed to raise SEK 63 700 through the fundraiser! This is so much more than I could hope for and I am so grateful to all of you for chipping in!! My supporting sponsors, SIX Financial Information, Twitch Health Capital, Ström2, MJ Training Club and Presentationsteknik have all been a great part in this work by helping in spreading the information about Crossing Borders, the fundraiser and also contributing to it. So has all of you who has shared the information and also made donations. This would now have been possible without you!! Thank you!! Did you meet anyone on the way? I have met people from different continents, countries, walks of life, ages and backgrounds. When I read through my blog again last night, I realized that I have even more stories to share and more people and encounters to tell you about. I know I was away for 8 days, but it feels like it was much longer with all the impressions. 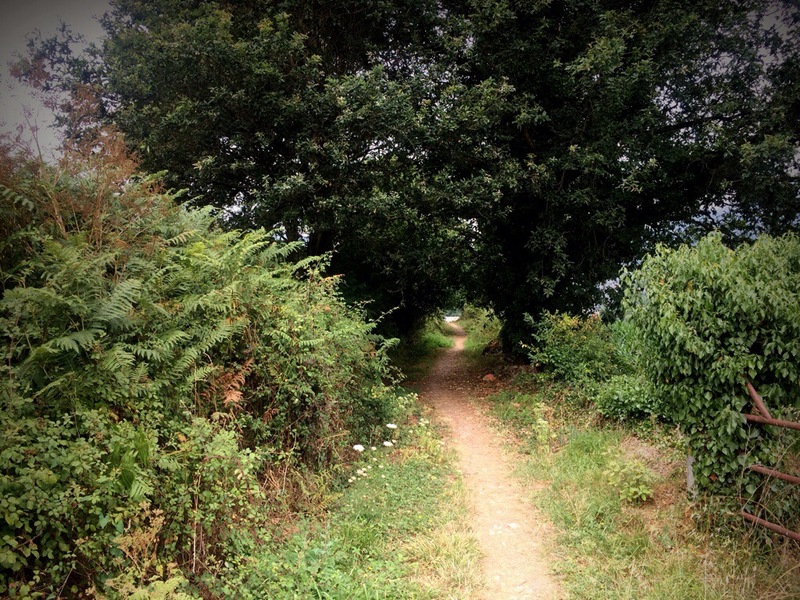 When I reached Santiago de Compostela it felt like I just started the day before. As the days went by I had a hard time discerning them from each other. Taking time to take pictures during my journey and to write my diary in the blog every morning was a big help. I noticed that I took many more in the beginning and less as I got tired towards the end. 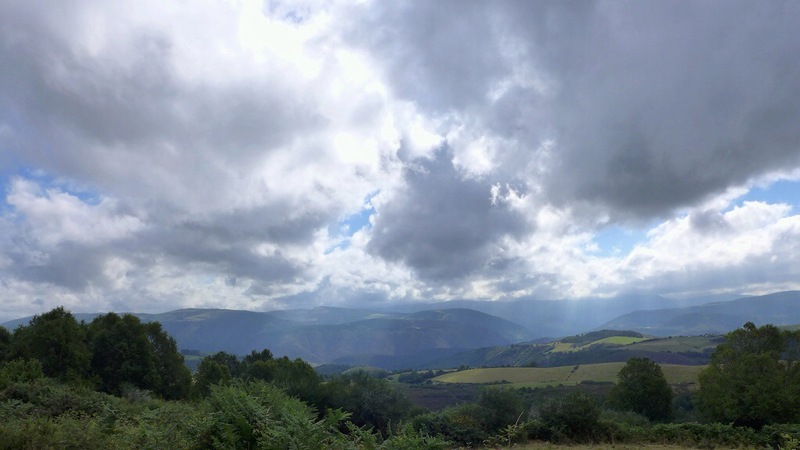 I have seen great views over the landscape in Asturias and in Galicia. I Have crossed mountains, valleys, rivers and gone through dense forests. I followed lovely paths with storybook qualities. Countless tunnels created by the green foliage in the forests I passed through. 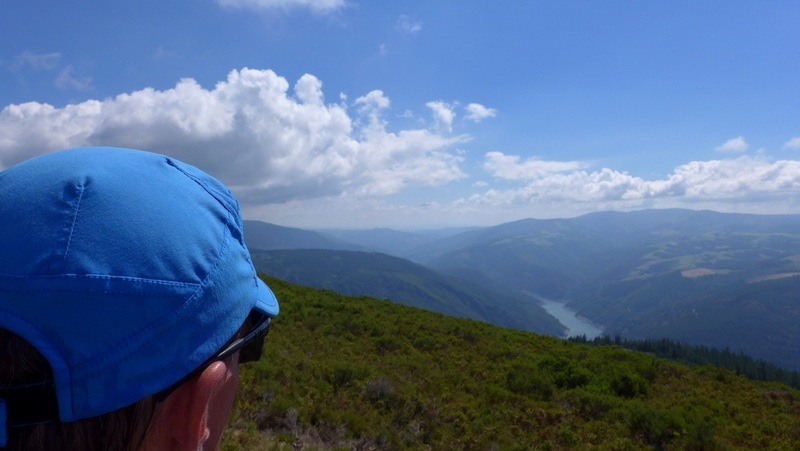 This is the typical view or picture from the Camino. It was tougher than expected, more beautiful than anticipated and surprisingly according to plan with just a few offsets. At these moments were when the preparations during Spring came into play. 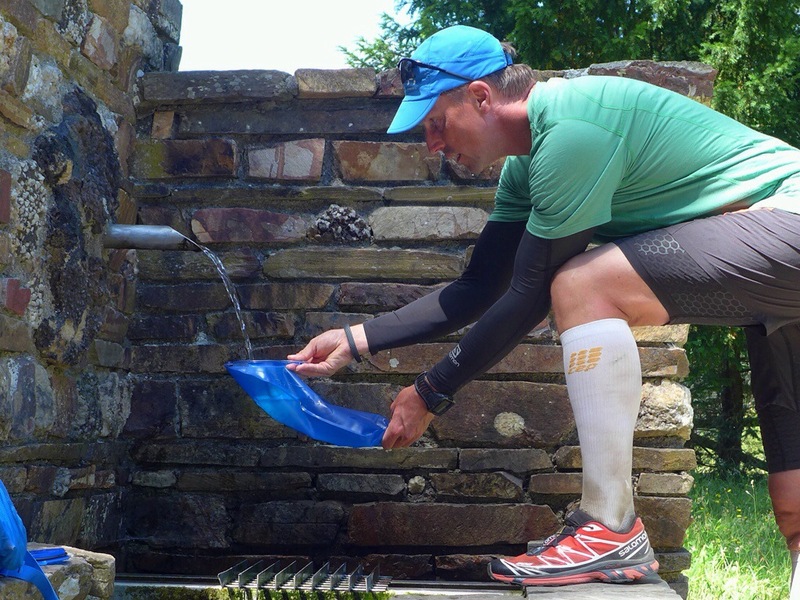 All those hours of training, preparations and planning gave me a lot of extra room to improvise and to maneuver while being out on the trail. 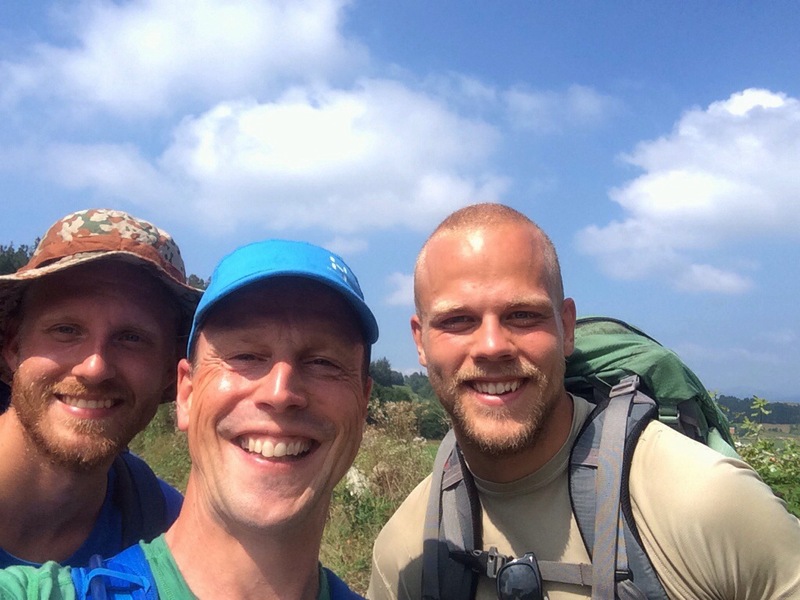 The training at Haglöfs Adventure Academy has been put to the test, and passed! 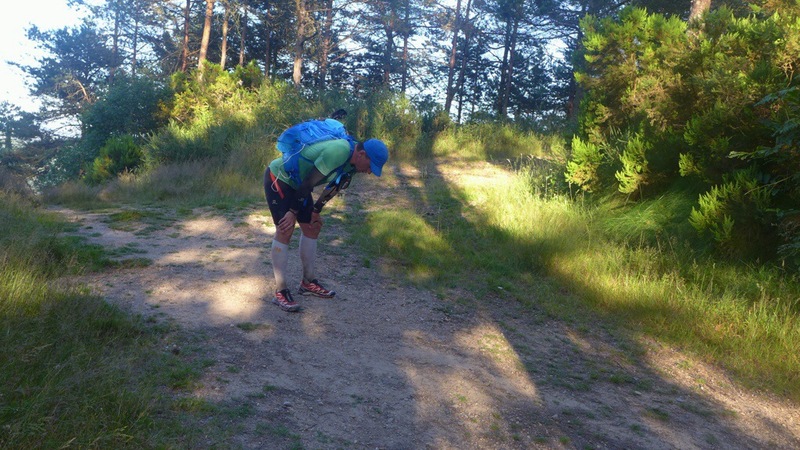 The hardest moment was after I had arrived to Castro day 4 and after completing 45km that day and I was tired. 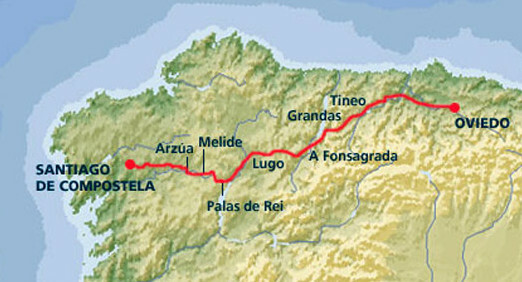 I looked at the itinerary for the next day and realized that the following day I had at least 45km in front of me again. This affected my mental state a lot and I can still recollect the feelings I felt at that moment. 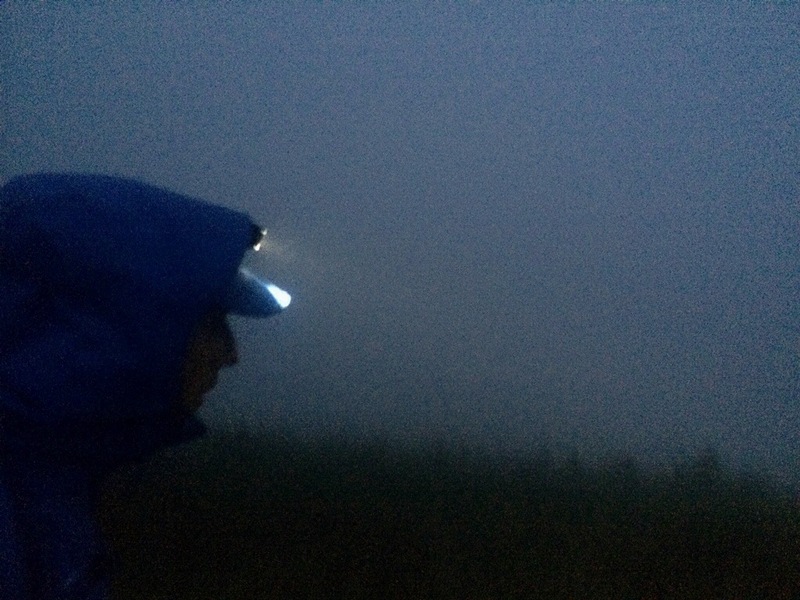 Another hard situation to cope with was at the end of each day when the distances on the map were not corresponding with the path. It could be an extra kilometer or 3km. These unexpected distances are short in relation to the full day. But at the end of the day they felt like forever and I found them very hard to cope with mentally. The last day was the first day it rained. It started early evening as the sun started to set. In combination with a sidewind it created a huge contrast to the warm days, which I was used to. It felt really cold! I had decided to keep going and to push to reach the Basilica this day. With less than 10km left I had to make sure that I was in constant motion and kept the stops to a minimum. 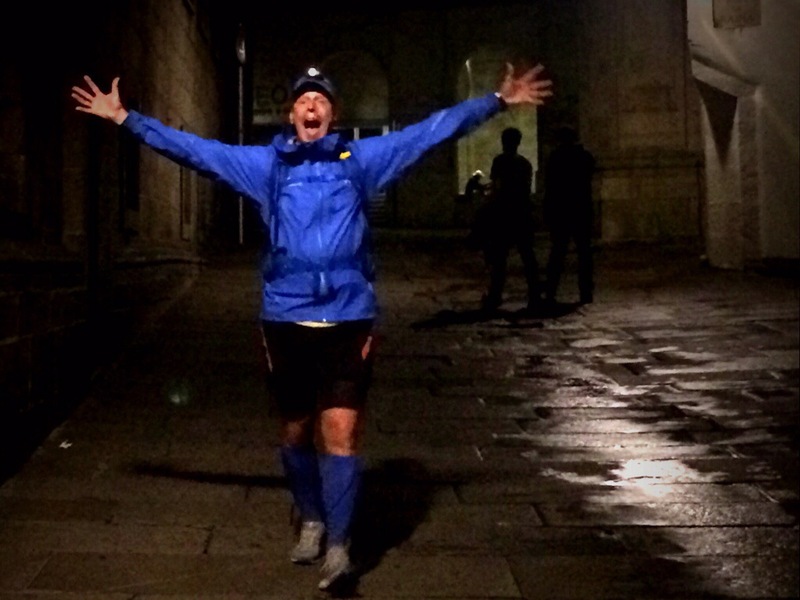 I kept focused and reached the basilica in Santiago de Compostela at 23:45 that evening! What was the best or the memory that sticks out? 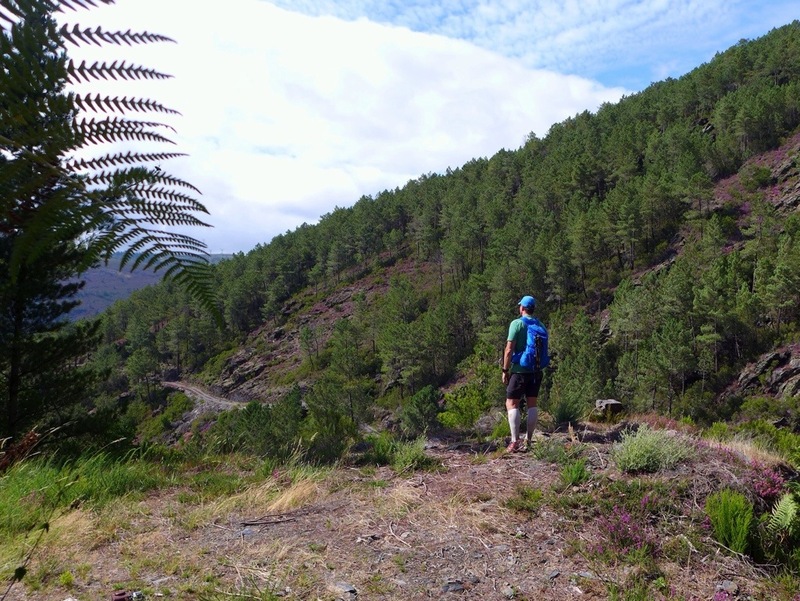 Hard to pick just one, but I would say that the day when I went to Castro via Grandas de Salime from Pola de Allende.I climbed uphill sides and crossed mountain ridges and went all the way down to the river and then all the way up again. The whole day was full of contrasts and spectacular views. Lots of height meters and a long distance. I was alone on the mountain side in the forest with no one in front of me and no one behind me. Just me and my backpack. It was amazing. What did you eat and where did you stay? Along the paths there were villages with bars, restaurants and places to stay. I had documented where I could get what. So I knew how long I had between the places where I could get food, something to drink or stay over night. I ate normal food but had cravings for salty and fat thing. 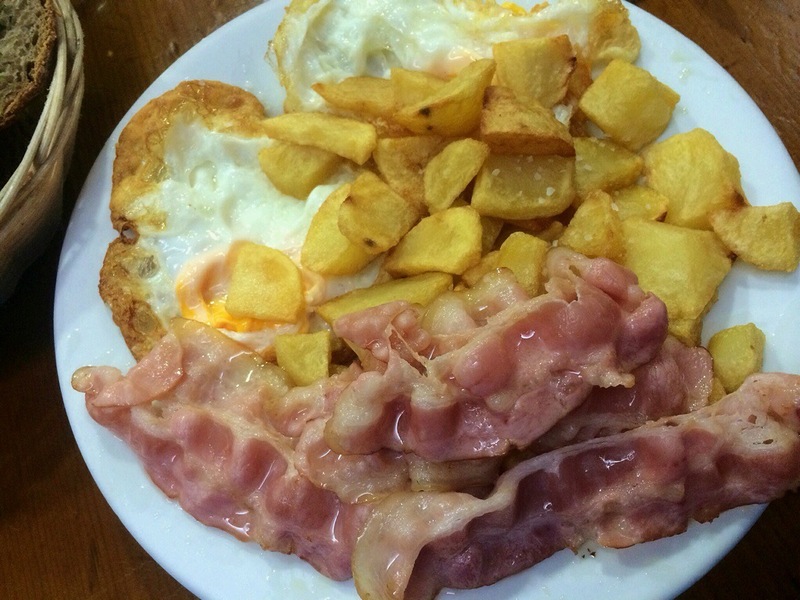 Eggs, bacon and french fries became a favorite. I had roughly a daily 4 000 calorie deficiency. I focused on making sure to also eat good and healthy things to eat. I counted on my ”storage” around the waist to supply the energy. This worked well for me and this way I did not have to force myself to eat all the time. During the days I had dates and nuts with me as extra energy and mixed in minerals and electrolytes in the water. Whenever possible and not too tired I filled up my Camelback and made sure to drink a lot when I had the possibility along the way. 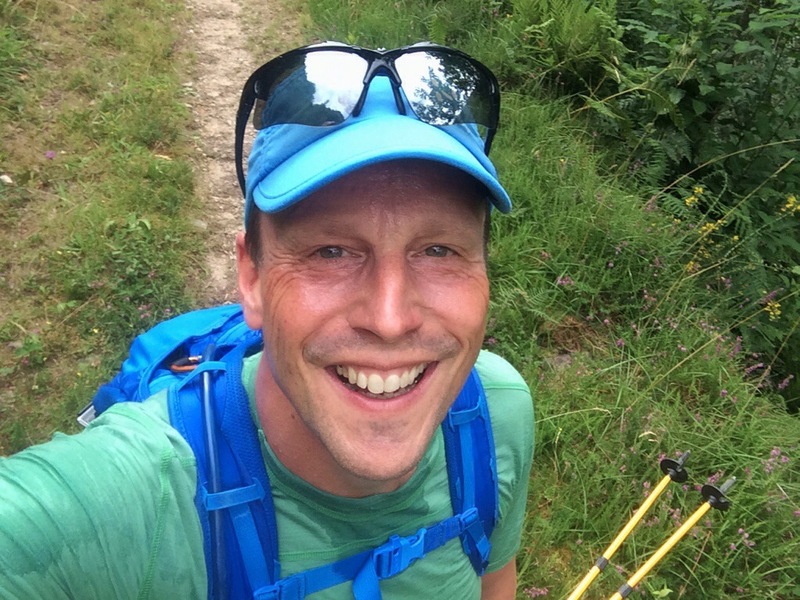 Since I needed my rest with the strain from the challenge, I had decided to book simple hotels and an hostel (albergue) along the way for the first five days. Then I booked the last three places to stay day by day based on the form of the day. This way I could rest up properly and had a good start each day. I met great people at these places. Some of them I caught up with during the day as I ran past them. Good energy! What was in the backpack? 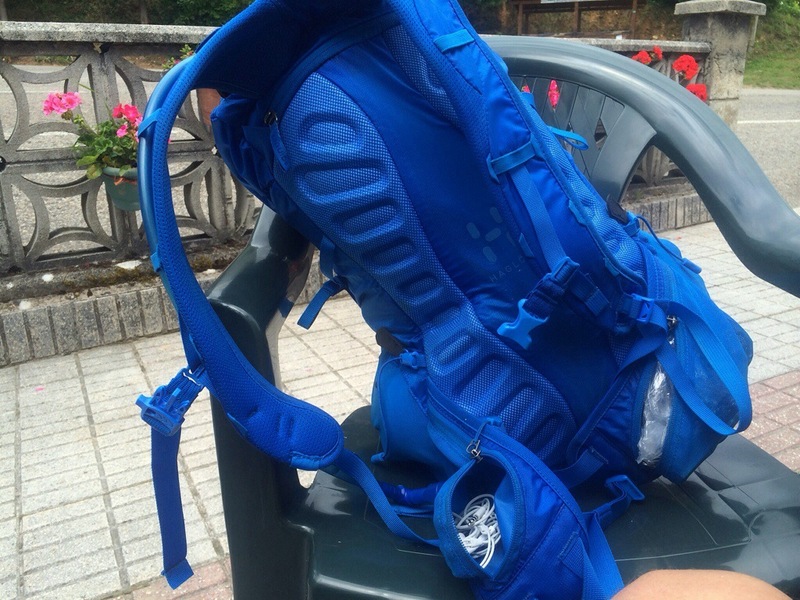 I carried everything I needed for my expedition on my back. The satellite tracker was on top of the lid. 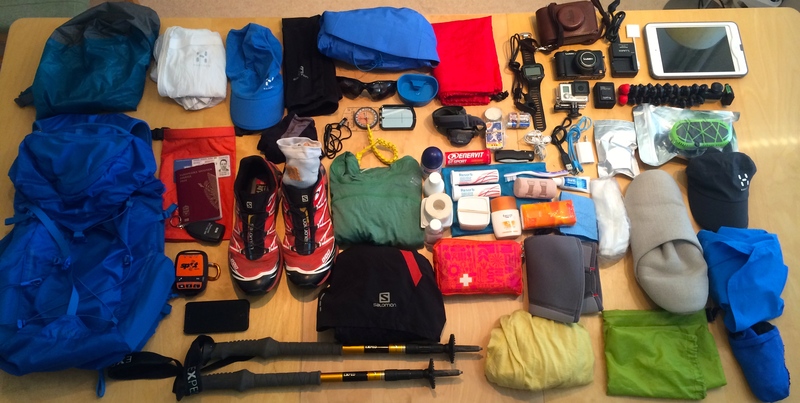 The total weight of my backpack and running gear was about 6.7kg (about 14lbs). I filled up with 1,5 liters of water every morning so all in all I carried 8,3kg. Good thing was that I could stop for the day whenever I needed and I had all that I needed right there with me. Being alone on this adventure implied risk. In order to mitigate this and as a safety precaution I had doubled up reserv equipment and simple supplies in a suitcase (I named it Bob). This way if I lost any of my equipment or broke something, I could replace that with things from the suitcase. It was sent on by courier to each destination. If I lost my backpack or broke something, then all I had to do was to get to the next stay of the day. How did it feel to arrive to Santiago de Compostela? It was a great feeling to arrive and realize that I had made it! It was hard to finish the last kilometers, but I did it! II was happy and tired when Sabrina came to meet and join me for the last kilometer. The next day in the city was very different from being on the trail. I was not used to have so many people around me. Here’s what I wrote in my diary about this day. There are a few things I would change, but not that many. 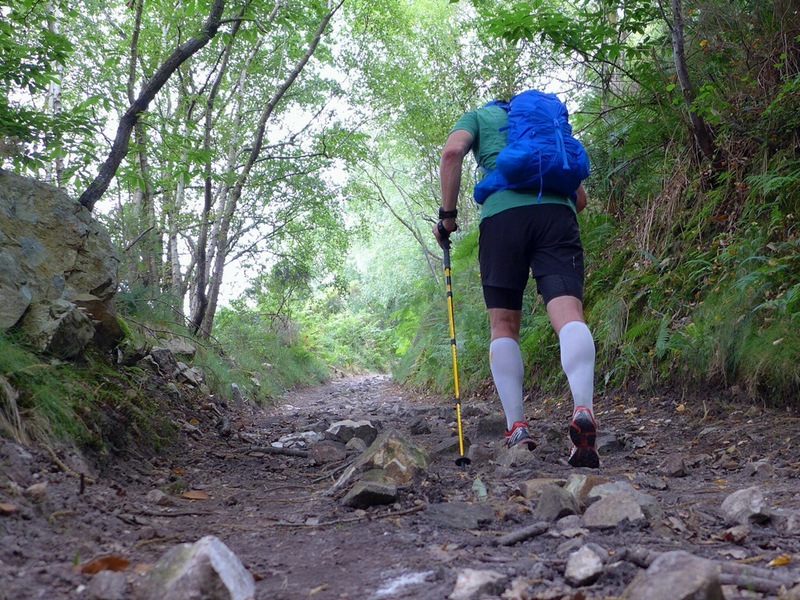 Next time when I take of my socks to check for blisters I am going to put on a ”compeed” on the beginning blister even if I ”only have 20km left”. I was tired at the time on day 7 and my logic was out the window. This will be a routine from now on. 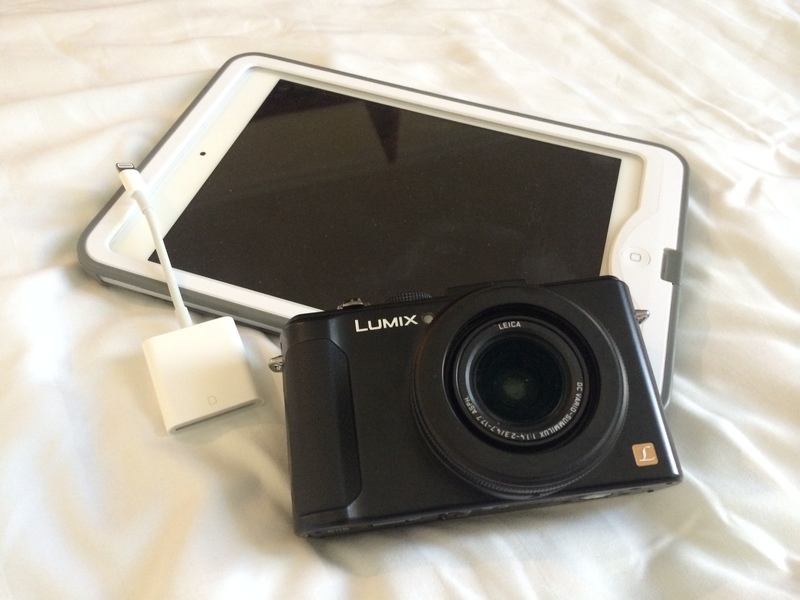 The tools for documentation and blogging needs to be used at home in everyday life so that I have all apps installed and everything setup prior to being on the trail. Sounds so obvious, yet I missed this one. Many of the people I talk to thinks that training was where I dedicated most time. I did train diligently, but this was just a third of my work preparing for the adventure. The other two thirds were planning and preparations. I put together a complete project plan with a risk analysis and everything. Then I had to try out the gear and test everything so I knew exactly how to use them when needed out on the expedition. Same thing with knowledge and skills. First get the knowledge and the practice on how to apply it. 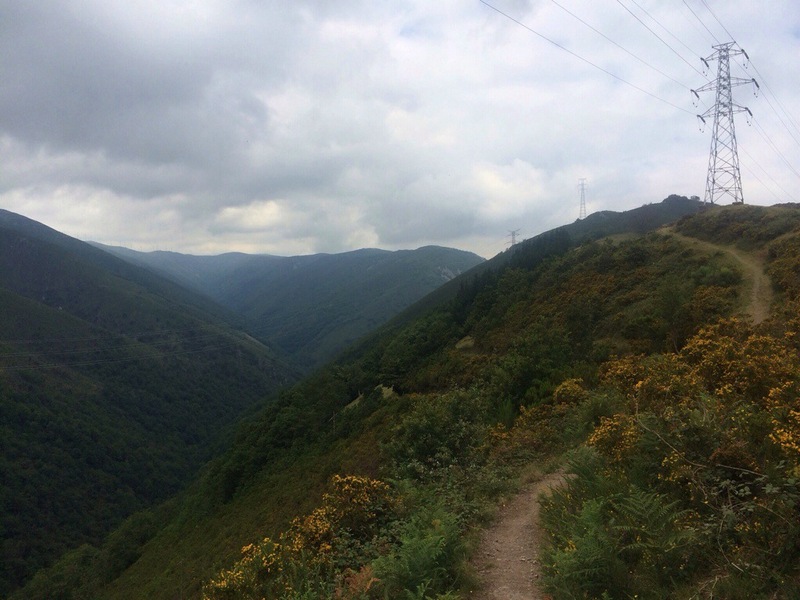 I did a field test in Asturias in June where I tested everything. This gave me valuable insights and let me adjust my gear. Here’s the article where I describe this. This way I created a stable foundation for when I needed to improvise. Essential for reaching the finish line smiling. Right now I am still thinking and processing what I have experienced. I know I want to to do something again, but not exactly what. Suggestions are welcome. I have a few running competitions coming up, and then my official goal for 2015, to complete a long distance triathlon, Ironman. This will require dedication and time, but I still want an adventure or two like the one I have experienced. This is a very addictive experience and I long to go out again! Har varit en förmån och ett nöje att få vara med på din resa så här lite på distans…. Likaledes Eva! Du har varit ett stort stöd under min expedition :-)!